Paris, 22 March 2016 – Eutelsat Communications (NYSE Euronext Paris: ETL) has entrusted Space Systems Loral (SSL) with the manufacture of a high-power broadcast satellite to serve markets in Africa, Europe, Middle East and Turkey. Called EUTELSAT 7C, the new satellite will be located at Eutelsat’s 7° East position that already broadcasts over 370 channels and is one of Eutelsat’s fastest-growing video neighbourhoods, serving anchor clients that include Digiturk, Turkey’s leading pay-TV platform, as well as the rapidly expanding Azam TV, Montage and Muvi TV platforms in Sub-Saharan Africa. To be launched in third quarter 2018, and equipped with 44 operational Ku-band transponders, the new satellite will be copositioned with EUTELSAT 7B, releasing EUTELSAT 7A to another orbital location. 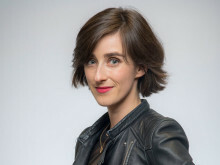 This improved two-satellite constellation will enable Eutelsat to optimise resources across both satellites, with enhanced coverage flexibility and connectivityset totake the 7° East neighbourhood to a new level. By almost doubling capacity over Sub-Saharan Africa, from 22 to 42 transponders, it will also make room for several hundred additional digital channels to support the region’s fast expanding TV market. 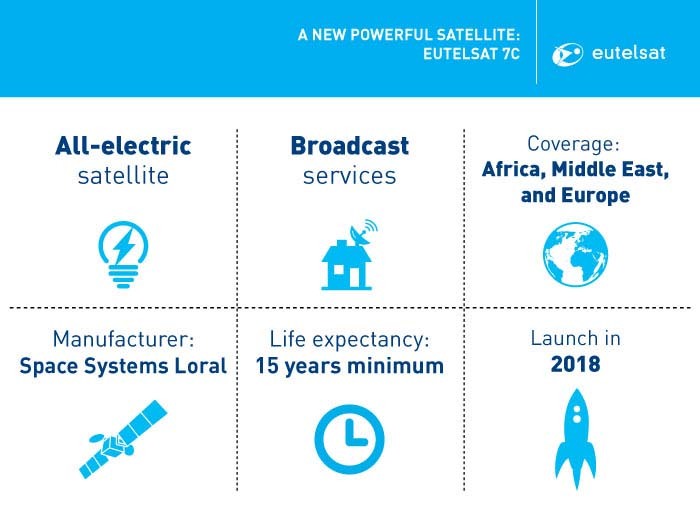 EUTELSAT 7C will also be equipped with a beam providing enhanced capacity for government services over Europe, the Middle East and Central Asia, and a beam that can be steered to cover any region visible from 7° East. 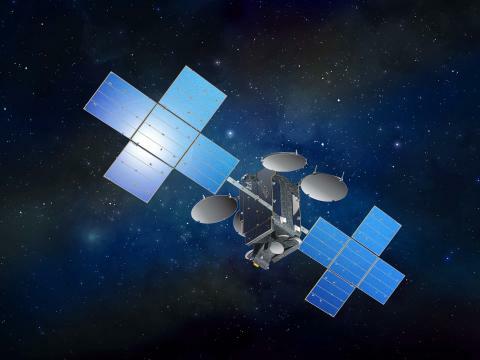 EUTELSAT 7C is the fifth all-electric satellite ordered by Eutelsat, enabling the company to take advantage of reduced launch mass while retaining payload performance. Based on the SSL 1300 platform, it is the third satellite built for Eutelsat by SSL (following EUTELSAT 25B and EUTELSAT 65 West A, launched by Ariane on 9 March).